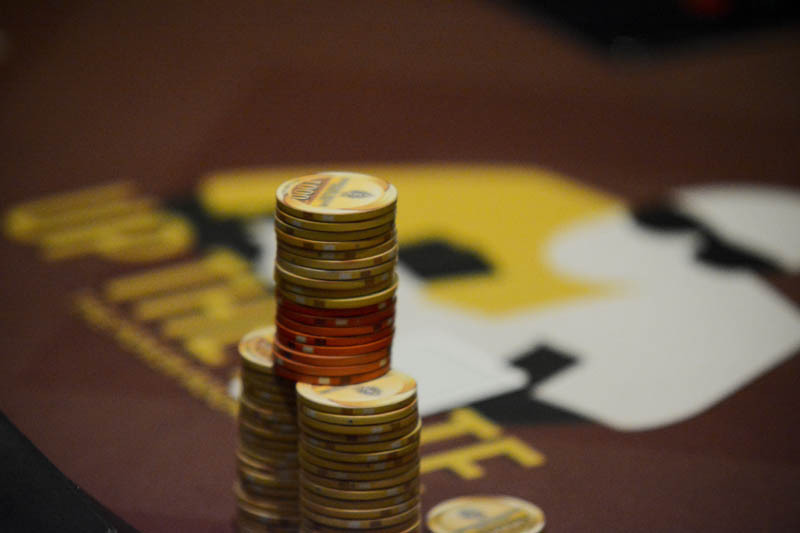 Just three levels remain in the first of five flights in the $250,000 Guaranteed inaugural WSOP Circuit event here at TVPokerRoom. The 43 remaining Day 1A players are on their final 15-minute break of the day. Play continues through the end of Level 15, the Bag-'n-Tag taking place at about 7:15pm.